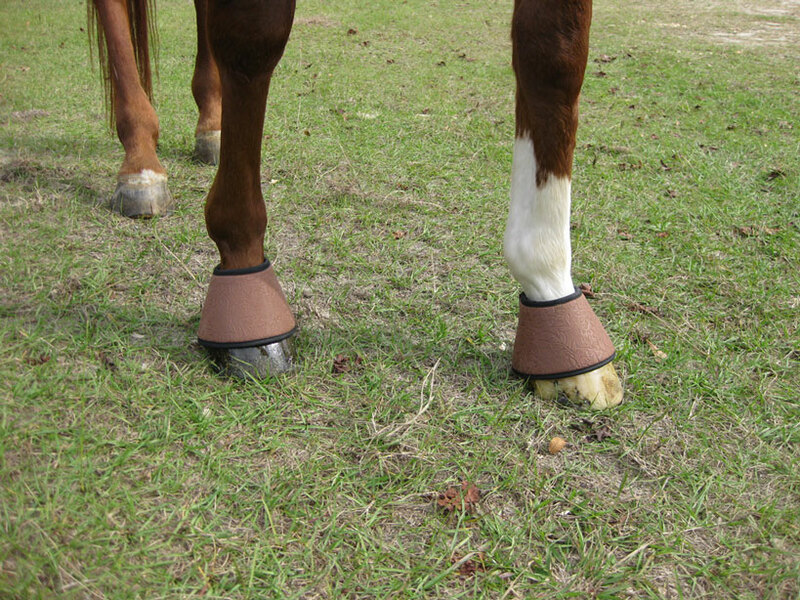 Fenwick Equestrian’s NeoTech breathable, lightweight galloping and hind ankle boots have been personally designed by Fred and Wilhelmina. 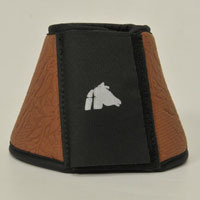 This boot is a favorite of theirs for use on Fenwick's young thoroughbreds for their durability and convenience. 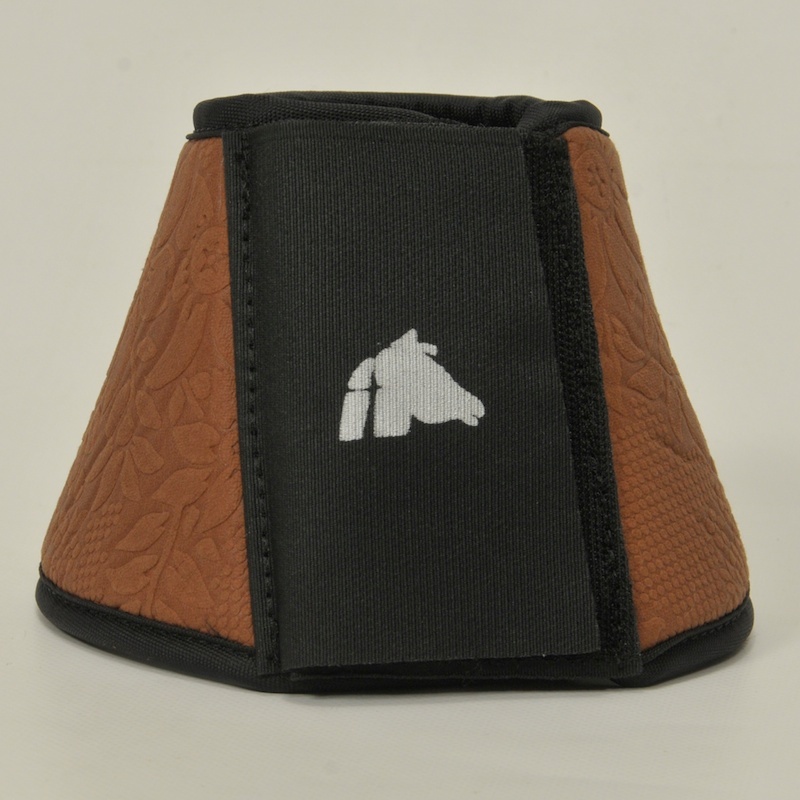 Other neoprene boots are very popular but have aggrevating little things that we changed and adjusted to help make them last a little longer and fit your horse a little better. 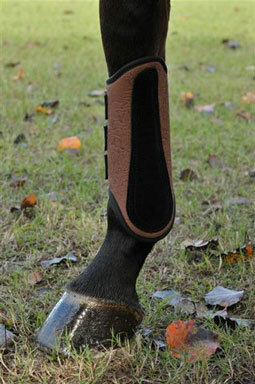 This is a very useful boot for all disciplines. 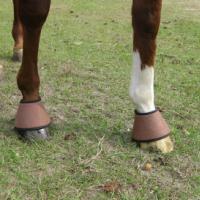 Remember, "a cooler tendon is a healthier tendon!" 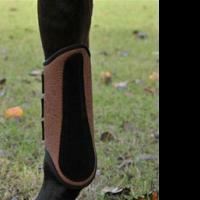 Breathable neoprene allows for a cooler, healthier leg. 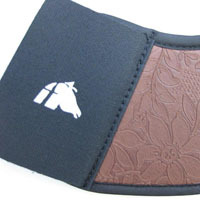 Nylon trim encases neoprene edges to prevent fraying. 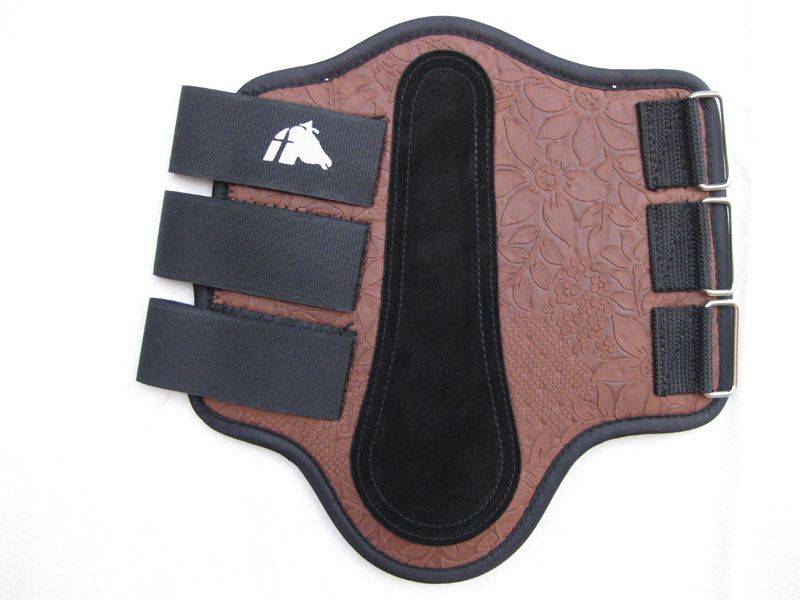 5mm thickness of breathable neoprene allows for protection, but suppleness. 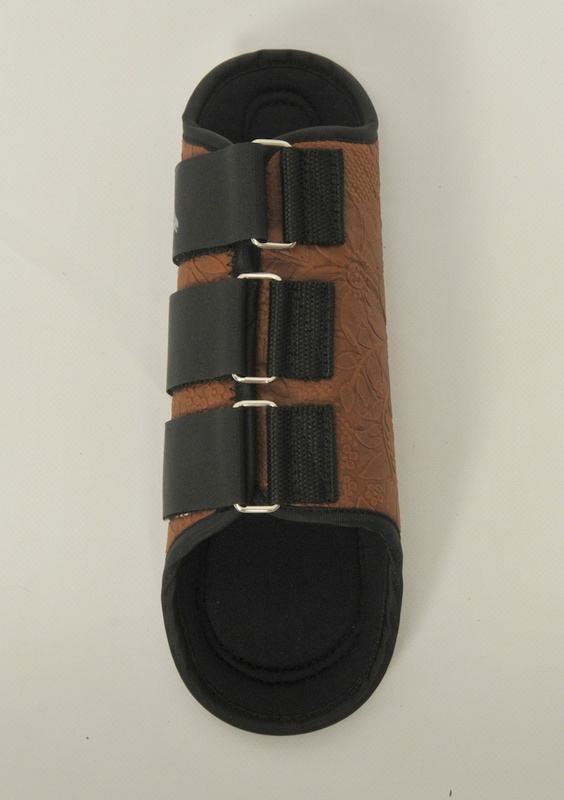 10mm thickness of neoprene and a suede patch have been added to the inside splint bone & ankle area for ultimate protection. 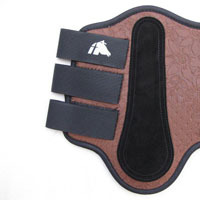 Buckles are set back from edge to avoid touching horses’ leg when tightening. 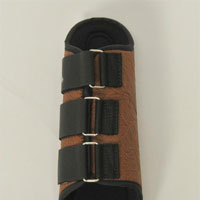 Velcro straps encase the entire boot to provide even pressure and help prevent tearing of the neoprene. 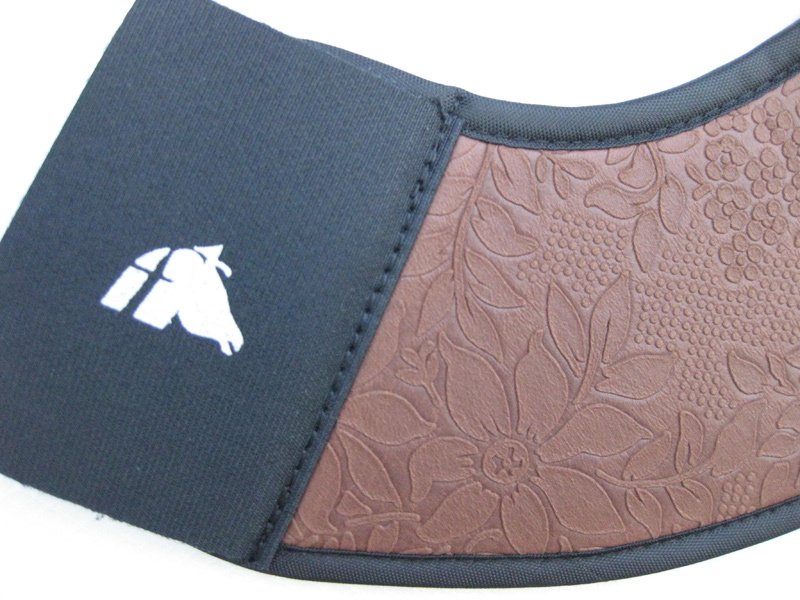 Breathable neoprene does not slip or twist. 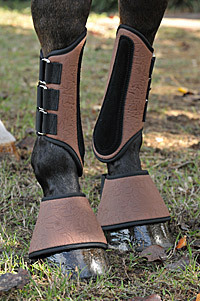 Give your horse an EDGE with boots!